My Cluttered Corner: ScrapTiffany Holiday Blog Hop & GIVEAWAY! 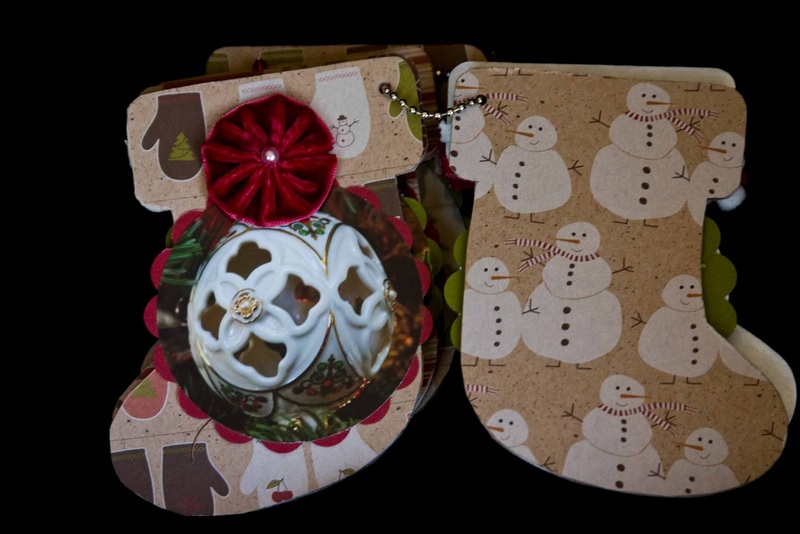 ScrapTiffany Holiday Blog Hop & GIVEAWAY! Hi! 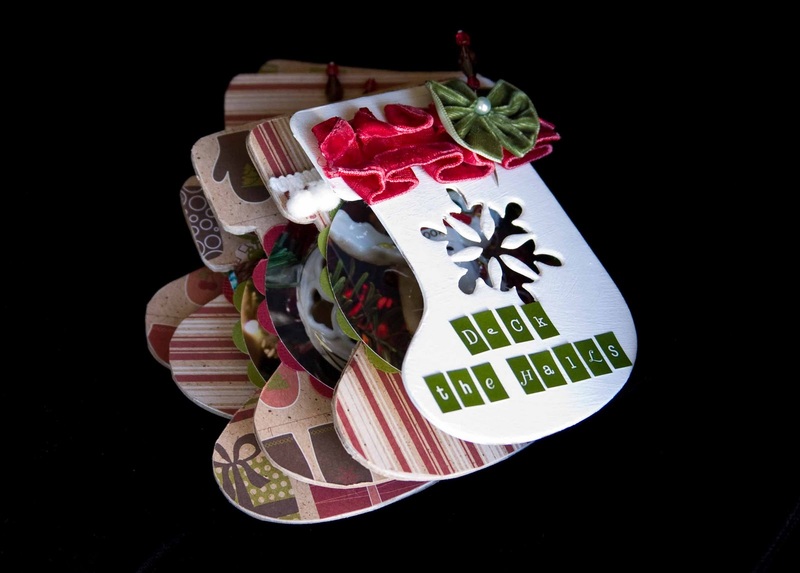 Welcome to the ScrapTiffany Holiday Blog Hop! If you just happened onto my blog (thanks for coming!) please start at the first stop on the hop: www.scraptiffany.com. If you just came from Norazah's blog then welcome!! I have a real hard time starting holiday projects early. 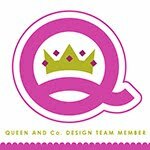 So it was very serendipitous when this hop was scheduled that I received some product from my LSS The Scrapbook Barn to create several projects to display in the store. Lucky me, I got to work with Jillibean Soup's Christmas Chestnut Soup line! 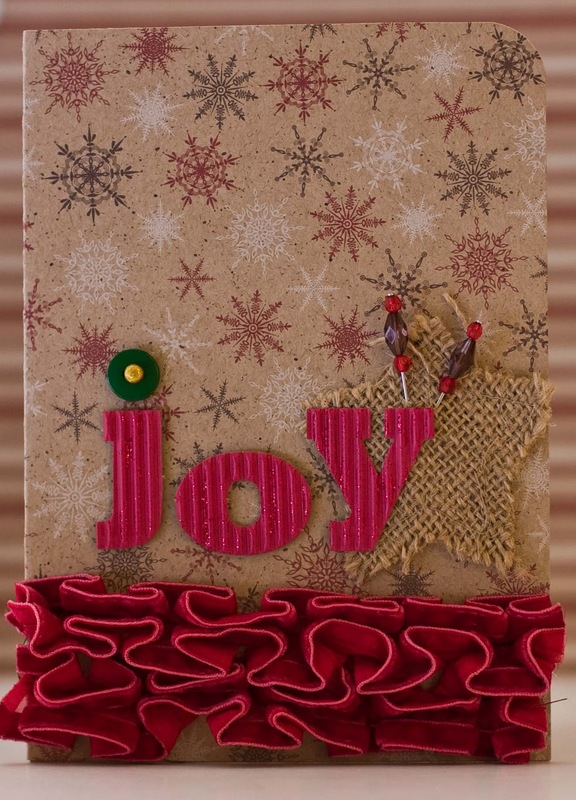 I love the new Jillibean Sugar Picks and the burlap from Canvas Corp is so fun to play with. For the big ruffle, I sewed two strips of the new Maya Road ruffle trim. Finally, I made a mini album with a Maya Road stocking coaster album. I gessoed the cover and then covered the remaining pages with the Jillibean Soup papers. The whole album is little snippets of some of my favorite holiday decorations. 2 3/4" circles of the photos and matted them on 3" cardstock scalloped circles. With a few sheets of patterned paper, cardstock, alphas and trim and embellishments I was able to make a layout, a card, a mini album with some to spare! So there you have it! 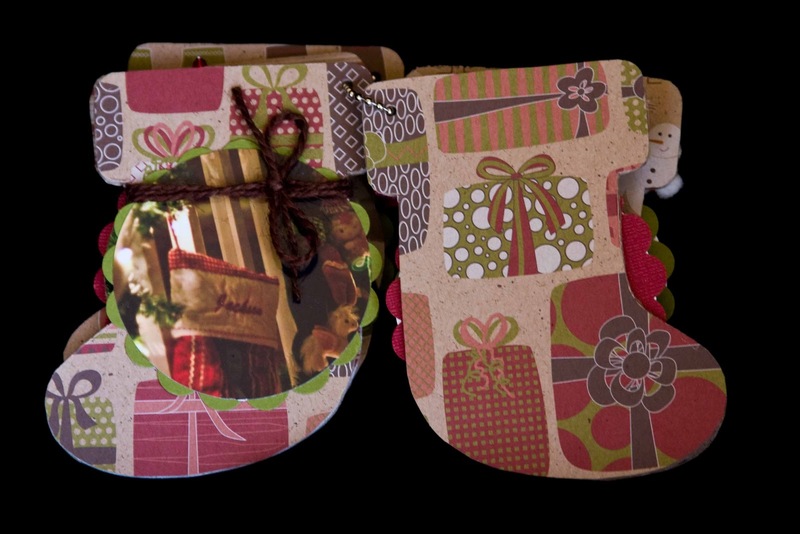 From one of the world's greatest holiday procrastinators--four holiday projects done! I hope this inspires you to get some of your holiday creating done this weekend. :) If you need some further inspiration, I am going to stuff a priority mail envelope with some holiday trims and embellies. Just follow my blog and leave a comment and you will be entered to win!! Thanks so much for stopping by. Now head on over to Summer's blog for some fabulous holiday inspiration. Enjoy the rest of the hop and Happy Holiday Crafting! golly golly golly golly gosh Rebecca these are all just amazing but I SOOOOOOOOOOOOOOOOOOOO LOVEEEEEEEEEE that card that ruffle on the bottom just sets it off beautifully!!!!!! I love all the papers you used. The little stocking with your favorite orniments is a really great idea. Great Projects Rebecca! Love the little stocking album! Wow, you got a lot done!!! I am so in love with your mini album!!! It's so gorgeous! I definitely need to get me one from Maya Road. WOW Rebecca you really rocked the soup!! Love all of these especially that stocking, great stuff! You did an amazing job with all your projects!!! Look at you go! So many fabulous holiday projects. Hi Rebecca! I am loving this ScrapTiffany blog hop! so many eye candies!! your projects are fab! My favorite is the mini album! love the round pictures! thank you and have a great day! Wow! You just grabbed that bull by the horns and RAN! Fab projects!! Especially loving the trims and embellies! LOL, I love your stuff, and way to go on getting lots done! These are all fabulous! I love the mini! I almost have my cards done. Oh girl you have been busy! As always your stuff is amazing! 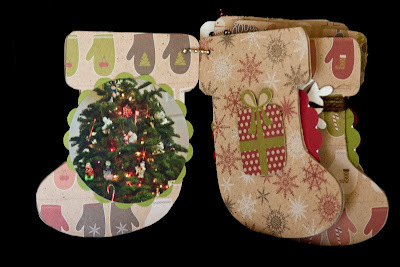 My favorite is the stocking album of your favorite decorations... That is one I am definitely lifting! Thanks for the inspiration! Rebecca, I love all of your projects! 'So creative!! Oh, and the way you mounted the pics. in your album is extra adorable!! that little album for ornaments is fantastic. Rebecca..I LOVE the ruffle on the card and I LOVE the stocking mini book. Great projects. Love your projects Rebecca....that mini is OUTSTANDING. I love minis. I like your scrapbooking layout. Wow you are rocking it especially for someone who does not start early!!! Great projects!! Thanks for the ideas!! I am a follower!! WOW! You got so many cute projects done!! Thanks for sharing those great ideas!! Cute, cute, cute. Love your projects. I'm already a follower. Love all of your projects and the papers are just fabulous! Very well done, love the mini album. Thank you so much for sharing. Just became a follower. I love how much you were able to accomplish with so few supplies. The layout is lovely! These are so cute! I love your mini album! 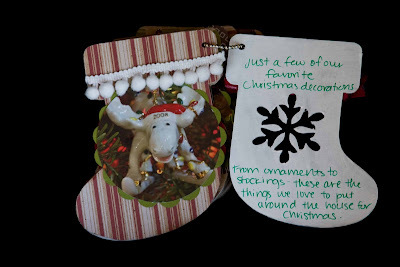 What a fun way to document your favorite ornaments! love the joy card. its classy!! I love the idea of a decoration mini! My, you have been busy. The ruffle is awesome. Fabulous projects!!!! LOVE that card! Great projects, love the ruffles but I especially love the mini album. Thanks for sharing. I love your mini album. WOW... I love the little stocking mini album! 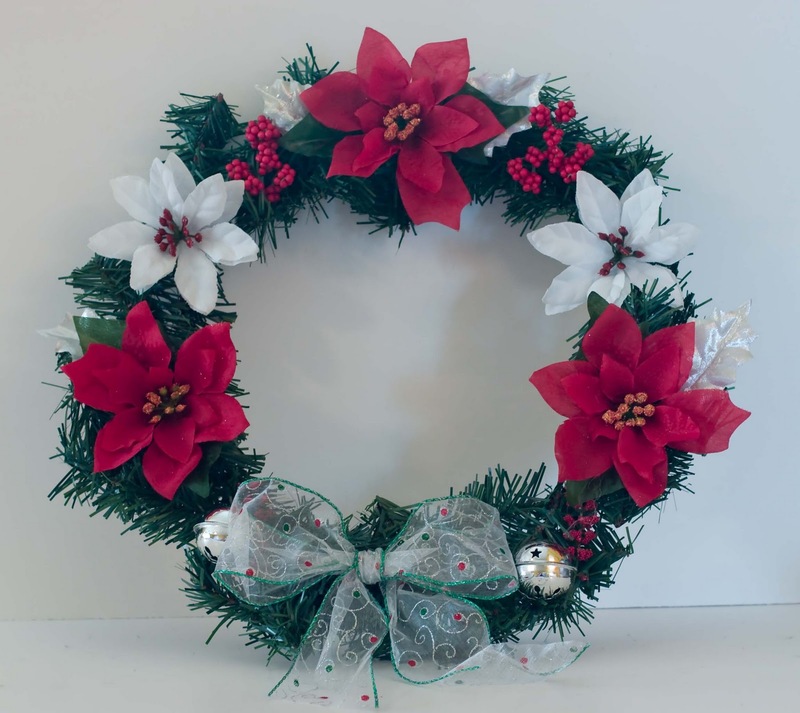 oh, and the wreath, and the card, I love all the detail you put into each project! I am a new follower, great ideas! Thanks for sharing. Love the colors of the papers and how you put it all together. 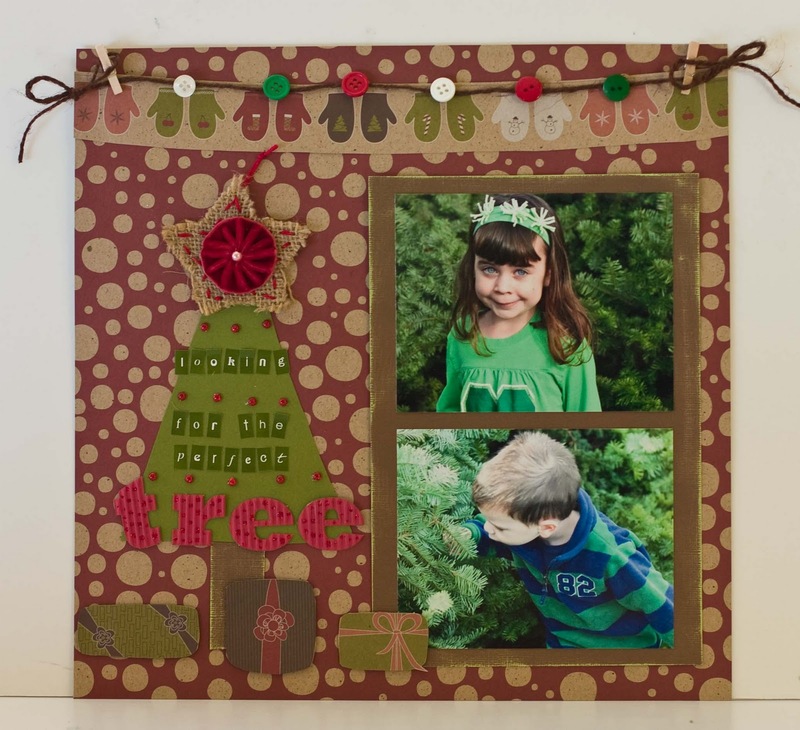 These are some really beautiful holiday projects - fabulous creativity!